Some of you will already have seen this story, but it’s really worth taking a closer look at it to understand some of the ways that online “community” gets stuck at the border, and at how online “mobs” turn to the oldest and ugliest stereotypes in the book once they’re mobilized. 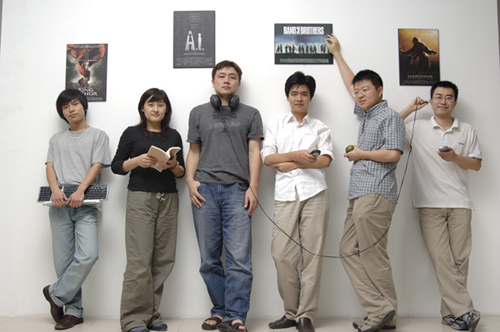 The face of Douban 豆瓣, one of the most popular music/book social sharing sites. Via PostShow via superlover (= source of photo). 我要发财网 (I Want to Get Rich Web) offers free gifts. These free gifts come from new startups who are trying to get their product out into the market, as part of their advertising campaign. Thus, users sign up for gifts, and your profile will determine your chance of getting a gift. 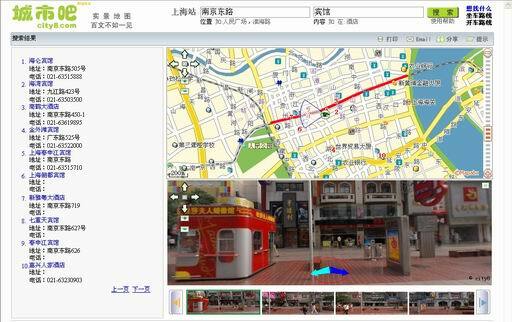 城市吧 CityBar looks like a cool Web2.0 map hack that uses photographs to show what the street would look like if you stood there, facing that direction. Unfortunately, I haven’t got the site to load properly and so I couldn’t test it out myself. 网络封神榜 People PK hosts online realtime rankings for famous Chinese people. Famous people include popstars such as Jay Chow and Andy Lau, cultural icons such as Mao, and internet stars like FuRong JieJie. They also offer newsfeeds on these people (which is where I found the latest Sina-endorsed FuRong pics). The most shuang* video recomendations every day. And today’s recommendation, a MTV trailer from the newly acclaimed (Mainland) Chinese film, 疯狂的石头! Time for me to do my homework on this. I’ve been personally less interested in Microsoft online products and services for the past several years, preferring to explore other options. But for understanding Virtual China, understanding MS is a must (as it would be for understanding virtual anywhere).